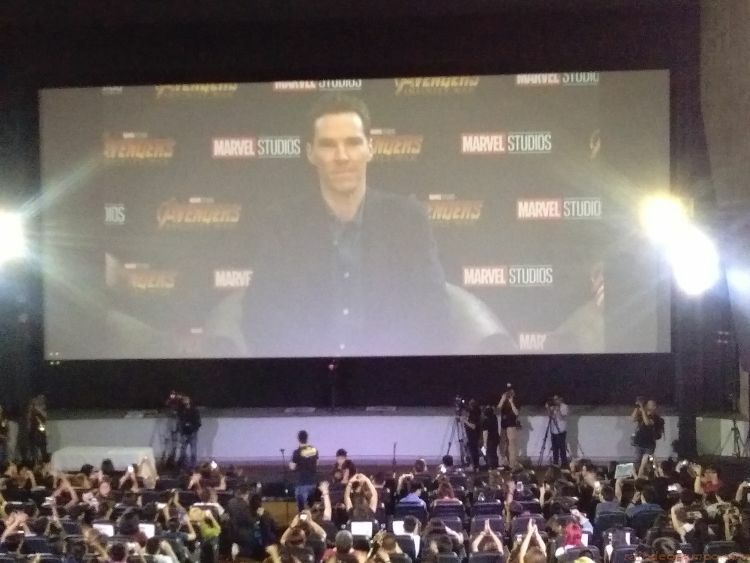 Comic book geeks, cosplayers and MCU (Marvel Cinematic Universe) fans got the treat of a lifetime with the surprise attendance of Avengers Infinity War actors Benedict Cumberbatch (Dr. 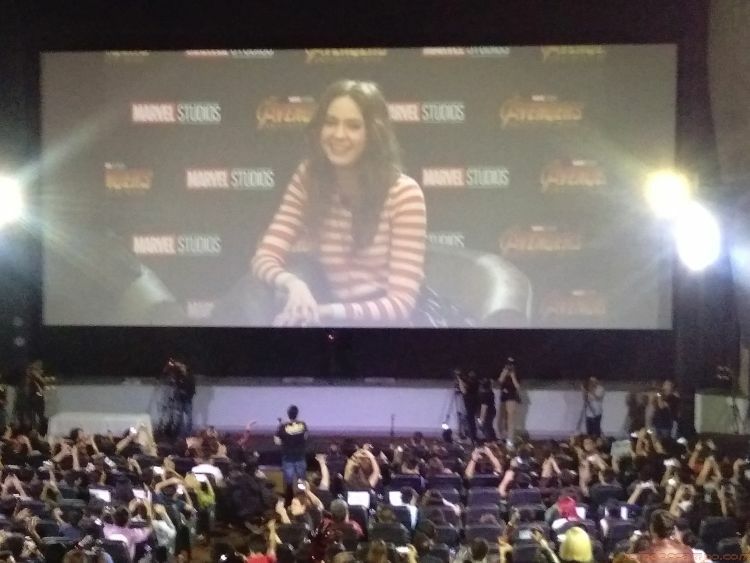 Strange) and Karen Gillan (Nebula) during a scheduled Marvel Studios Fan Event held last Sunday (April 15) at the Cinema 7 of SM Megamall. Totally unaware of what’s about to happen, the attendees where dumbfounded when the two stars appeared on the big screen together together with director Joe Russo via a livestream feed straight from Singapore hours before the Red Carpet event at the Marina Bay Sands. 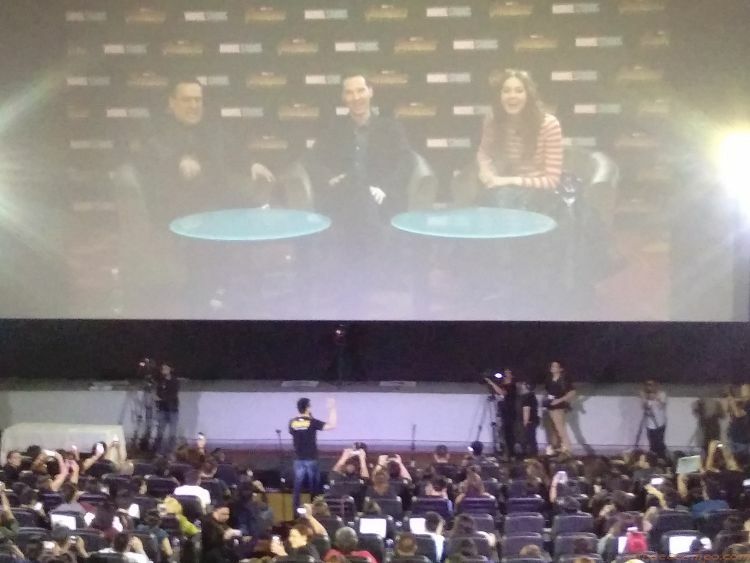 Benedict, Joe and Karen answered a couple of questions from selected fans and were game for a group selfie with all the people inside the cinema. Joe Russo directs Infinity War with brother Anthony and have been responsible for three other successful MCU franchise – Captain America Winter Soldier, Captain America Civil War and Ant-Man. Karen Gillan on the other hand was asked about how the character of Nebula has evolved and what’ll be like for the character in the Infinity War. Benedict Cumberbatch on the other hand agrees to the comments of fans that his character Doctor Strange and Robert Downey Jr’s Tony Stark are somewhat similarly egotistical in nature and at the same time contrasting in the franchise – one deals with science while the other dwells in mysticism. MCU is not the only thing that Cumberbatch and Downey shared – both also played the role of Sherlock Holmes. Who played it better? Now that’s still being debated. 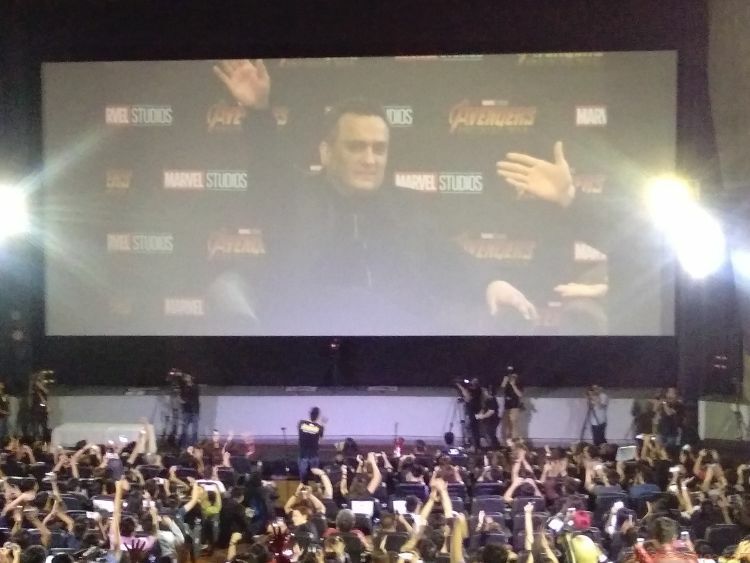 The Marvel Studios Fan Event at the SM Cinema was an opportunity for fans also to show their love for the franchise by coming in as their favorite Avengers character – some even wore costumes of characters that are yet to be introduced in Infinity War like Proxima Midnight of Thanos’ Black Order, even Captain Marvel and Hela (not appearing on Infinity War). 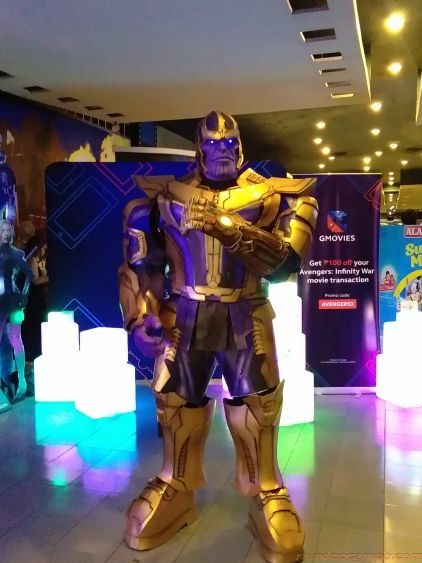 The Avengers Infinity War is scheduled for release here in the Philippines on the 25th of April. Filmed entirely on IMAX cameras, the movie is a guaranteed film indulgence with the IMAX screens of SM Cinema. Book your tickets now through www.smcinema.com or download the app via the App Store or Google Play.